This Tablet is an 7-inch TFT LCD Capacitive Touchscreen and 2 MP Secondary Camera 5 MP Prima ry Camera. 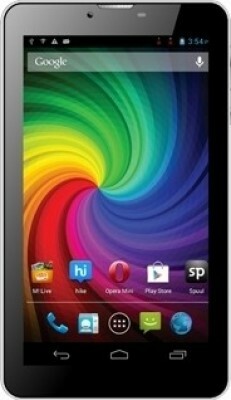 1.2 GHz MT8377 Dual Core Processor.Android version is 4.1.2 (Jelly Bean) OS and Dual SIM (GSM + GSM). FM Radio is available.Expandable Storage Capacity of 32 GB Wi-Fi connection is Enabled. This Tablet is an 7-inch Capacitive Touchscreen and 0.3 MP Front Facing Camera. Android version 4.2 (Jelly Bean) OS and 1 GHz Cortex-A8 Dual Core Processor. Expandable Storage Capacity of 32 GB.WiFi connection and 3G is available. 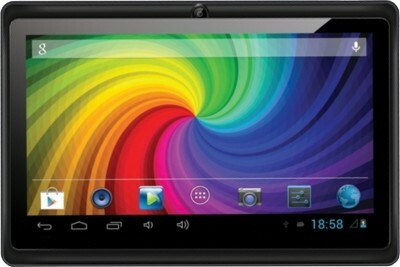 This Tablet is an 7-inch TFT Capacitive Touchscreen and 2 MP Primary Camera 0.3 MP Secondary Camera. Android v4.1.2 (Jelly Bean) OS and FM Radio built in.1 GHz Dual Core Processor. Expandable Storage Capacity of 32 GB and Dual SIM (GSM + GSM) Wi-Fi connection available.BatteryType 2800 mAh Lithium – Polymer. 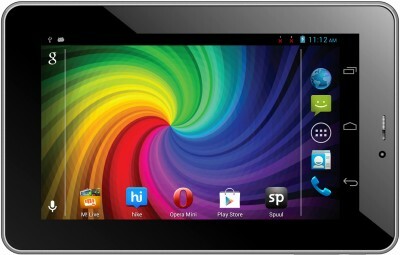 This Tablet is an 7-inch Capacitive Touchscreen and 2 MP Primary Camera 0.3 MP Secondary Camera. Android version 4.0.4 (Ice Cream Sandwich) OS and Expandable Storage Capacity of 32 GB. Wi-Fi is Enabled.1 GHz Qualcomm MSM8625 Dual Core Processor. Opera Mini, WAP 2.0, Android installed in browser and voice calling available. 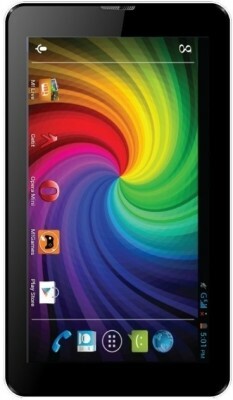 This Tablet is an 7 inch Touch screen Display and Primary Camera 2 megapixels Secondary Camera 0.3 megapixels. Wi-Fi connection available.1 GHz 1 GHz Dual Core Processor.Voice Calling available.Battery Type 2800 Lithium – Polymer. Android OS 512 MB Storage.